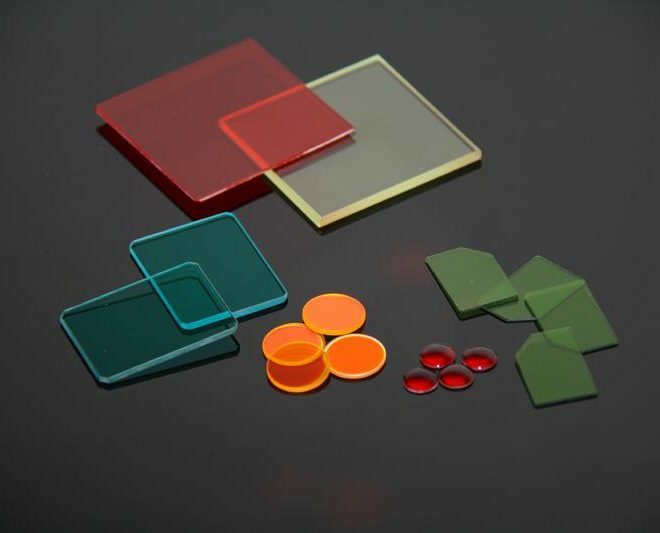 Tecnottica Consonni is able to work all optical filter glass coming from the most important worldwide industry leaders such as Schott and Hoya and, with the help of a functional warehouse with a large number of raw materials, we can drastically reduce all processing times. 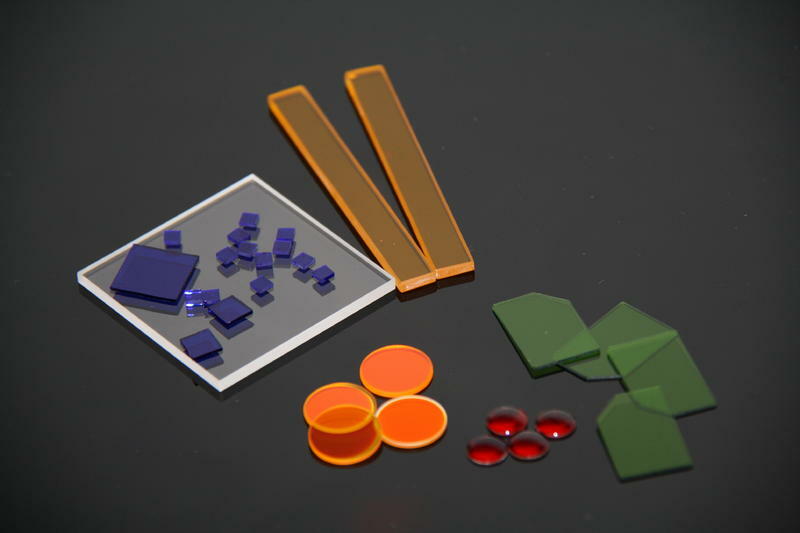 These filters are called more properly absorption filters as they are able to select particular bandwidths of the electromagnetic spectrum, excluding all those wavelengths outside of them. 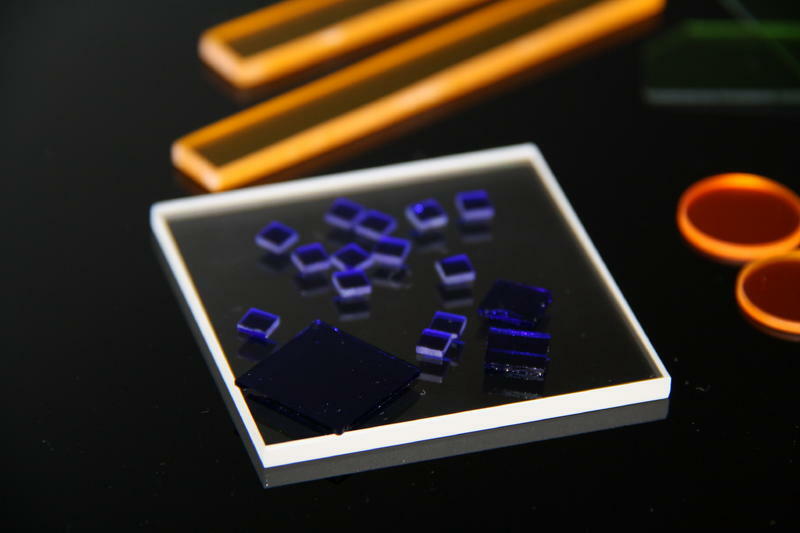 For this reason, there are absorption filters optimized for ultraviolet (UV), visible (VIS) and near infrared (NIR and SWIR). 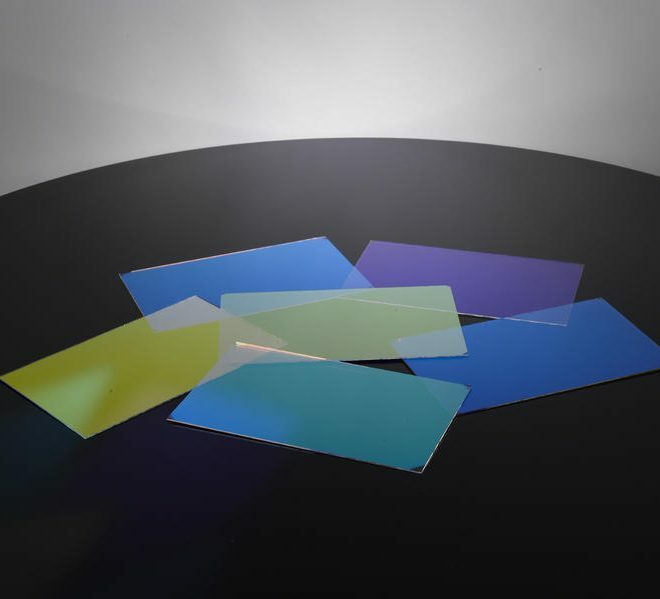 In addition to absorption filters, Tecnottica produces and distributes dichroic interferencial filters also known as dielectric layers filters: this category comprehends all the filters made of a glass substrate, usually borosilicate, on which are deposited metal films with infinitesimal thicknesses. 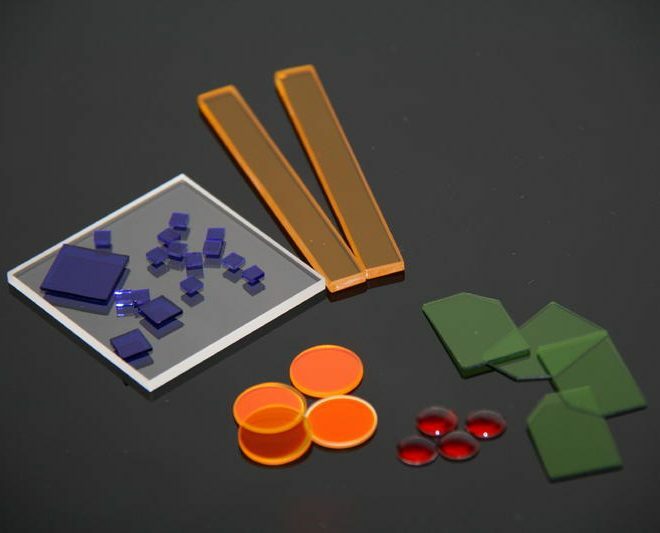 In particular, the number of these layers, their thicknesses and the materials constituting the films variy in function of the desired results, the applications intended use and their physical sizes. 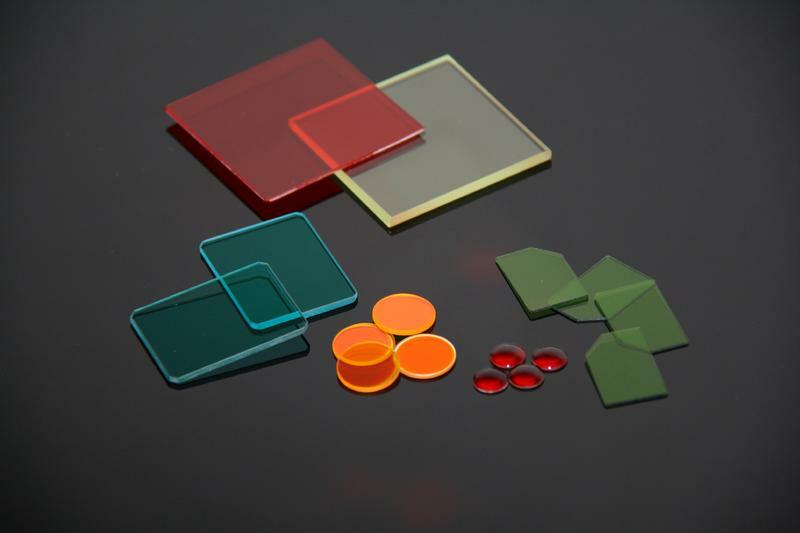 These filters are successfully used in the lighting industry for coloring light coming from several sources or for the so-called color conversion (color temperature in Kelvin degrees) and in various industrial sectors. 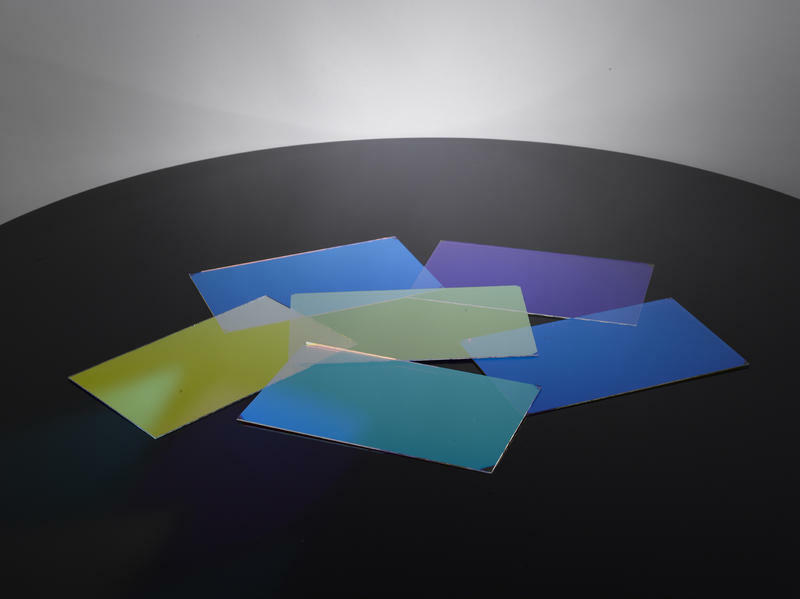 Dichroic filters can also be built with the aim to act as absorption filters; in particular they differ from these ones for their ability to withstand higher temperatures and increased their frequency selectivity. Within this family belong in fact the so-called low-pass filters, high pass and band-pass ones. 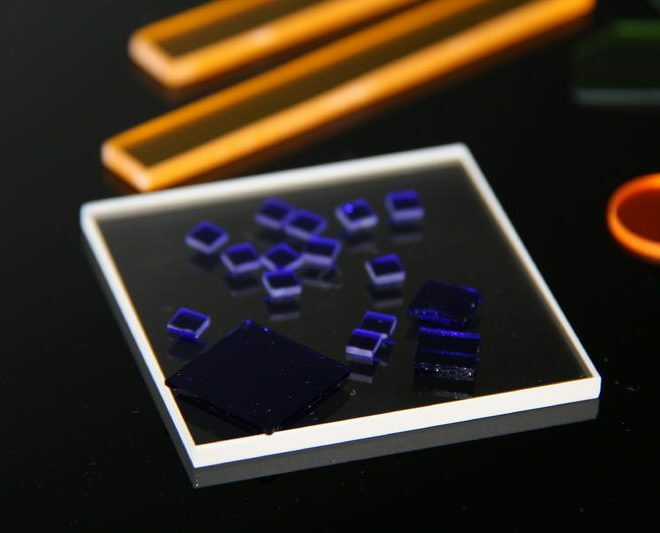 The most important areas of application, as for ordinary absorption filters, are ultraviolet (UV), visible (VIS) and near infrared (NIR and SWIR). Tecnottica Consonni is able to handle and work successfully all the listed filter categories, satisfying every customer's specific needs.